The Lime: Academy Award-winning documentary "The Cove" highlights The Nature Isle! 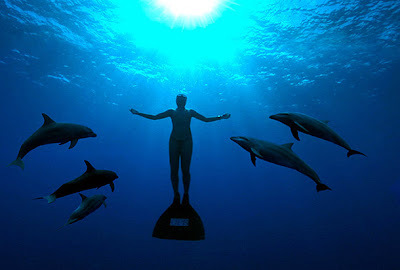 Academy Award-winning documentary "The Cove" highlights The Nature Isle! “THE COVE” won the 2010 Academy Award for best documentary and follows an elite team of activists, filmmakers and freedivers as they embark on a covert mission to penetrate a remote and hidden cove in Taiji, Japan, shining a light on a dark and deadly secret. THE COVE featured Dominica which is commonly known as "The Nature Island" because of its efforts in protecting the oceans and its inhabitants. Dominica promotes nature tourism and whale and dolphin watching are a intrinsic part of tour packages. Environmentalist, Atherton Martin believes this comes at an opportune time as Dominica will again be called to vote for or against matters of preservation and conservation. THE COVE premiered in Dominica at the University of The West Indies and was shown free of charge to the public on March 11th at Harlem Plaza.